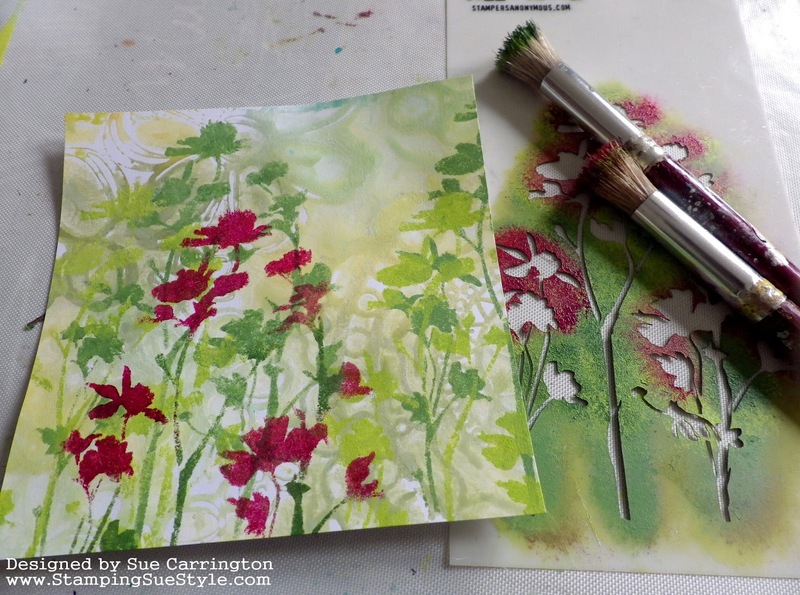 Meadows are such amazing places - lots of different grasses, wild flowers and wonderful wildlife. 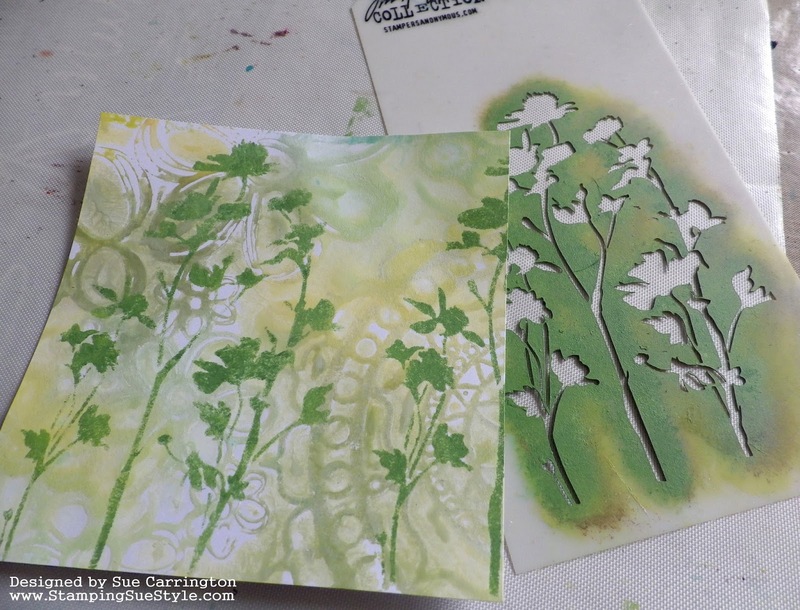 Let your imagination run wild ...and use stamps or stencils too! Enjoy! 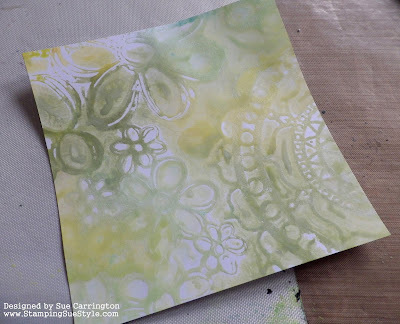 I joined in with Birgit Koopsen's 31 Days of Gelli Printing so I now have a stack of prints all waiting to be used. 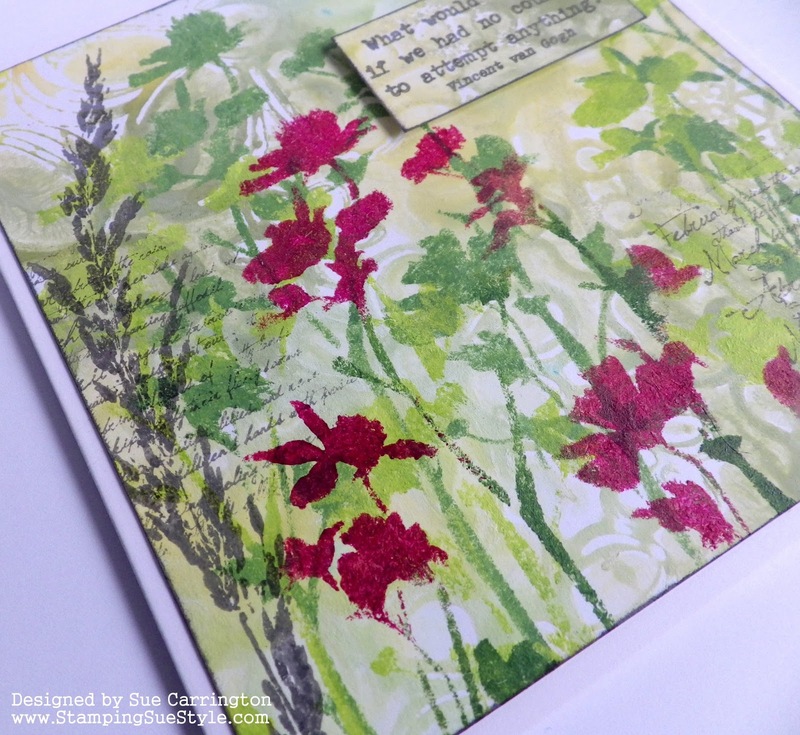 This print was from the Spray Inks day, I really liked how the colour of the inks changed to pastel shades. 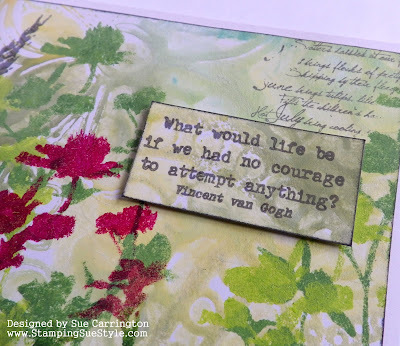 I didn't have much that would fit with a meadow theme but then I remembered this Tim Holtz stencil which worked quite nicely. 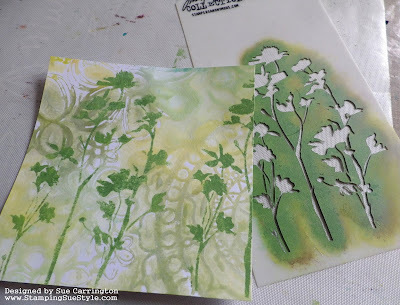 I used the stencil several times with different colours with the finaly layer adding a pop of colour. 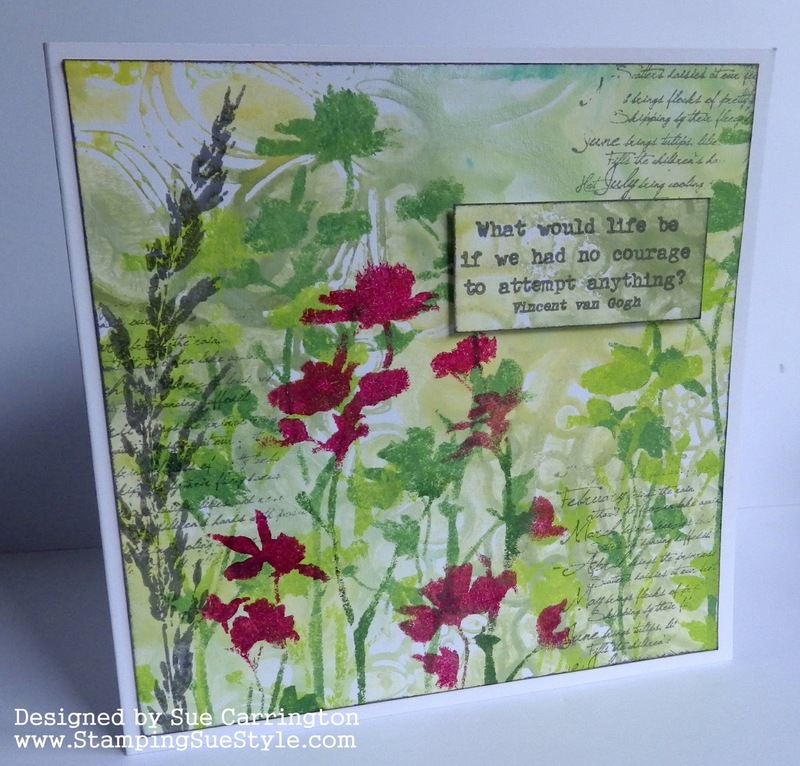 I used the grass and script stamp from a Lin Brown set and stamped them with Watering Can Archival ink. 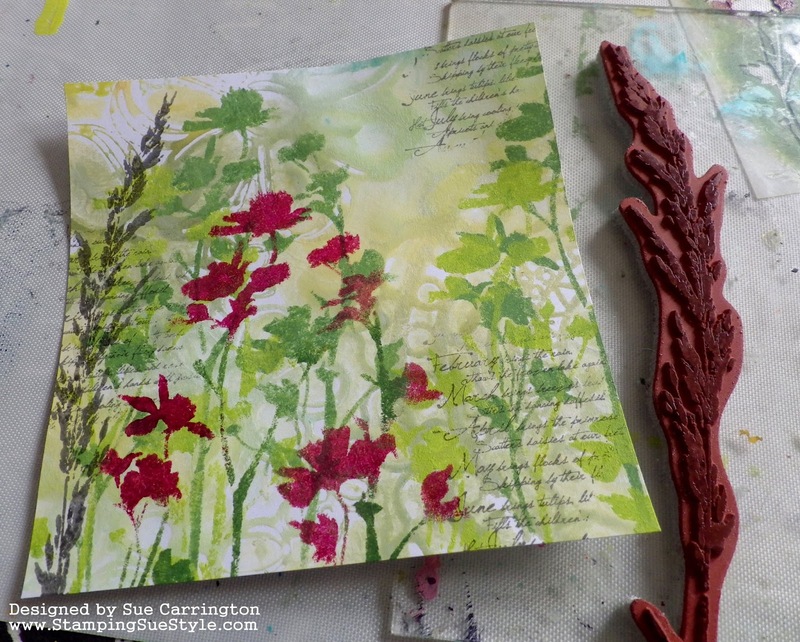 The panel was edged with Watering Can Archival ink before mounting onto white card. 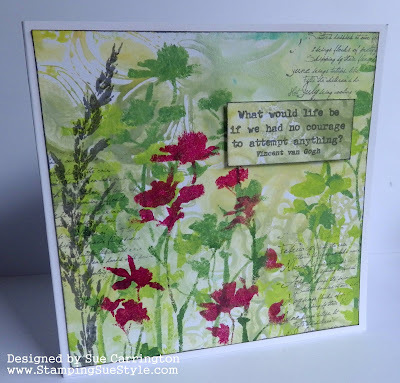 The sentiment , which is by Alison Bomber, was stamped onto a spare piece of the Gelli printed card in Watering Can Archival ink. This shot shows the stencilled layers. 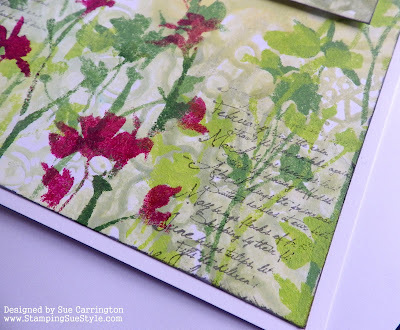 One last shot to show how lovely the script stamp is. 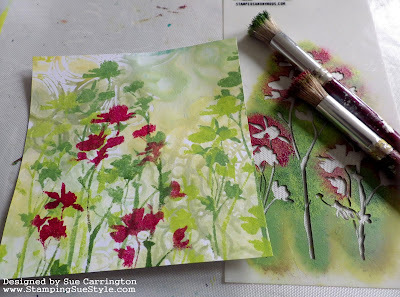 I hope you get chance to join us for this challenge and do make sure your hop over to the Stamps and Stencils blog to see the rest ofthe DT's fabulous projects. Gorgeous page Sue- I love the gelli prints as a background and the stencil looks great too! This is really beautiful. 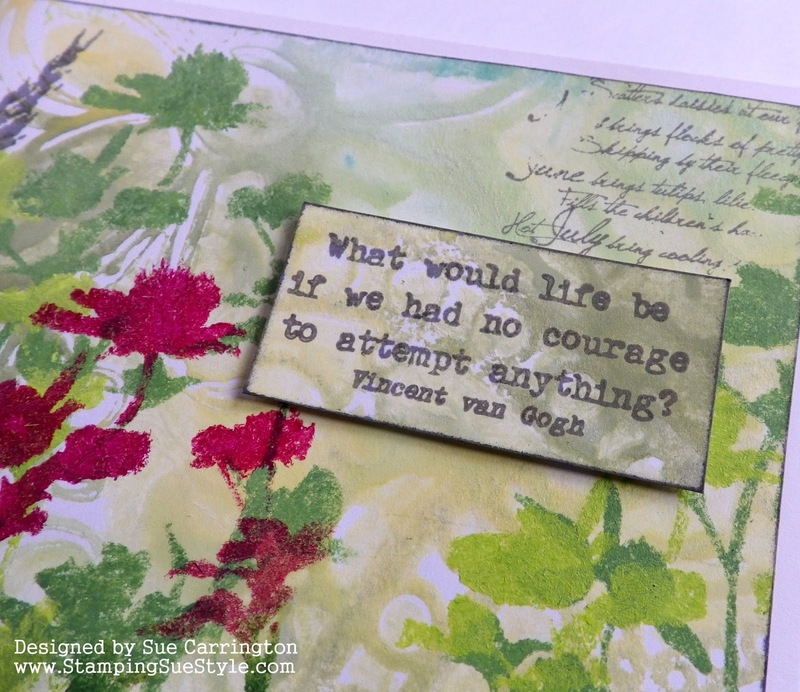 Amazing what you can do with already prepared backgrounds and a stencil. The effect is striking!